Have you got a single front tooth that is discoloured? Perhapse you knocked it when you were younger and it started to change colour? It is easy to traumatise a front tooth due to knocks and falls and this may eventualy lead to the nerve in the tooth dying. 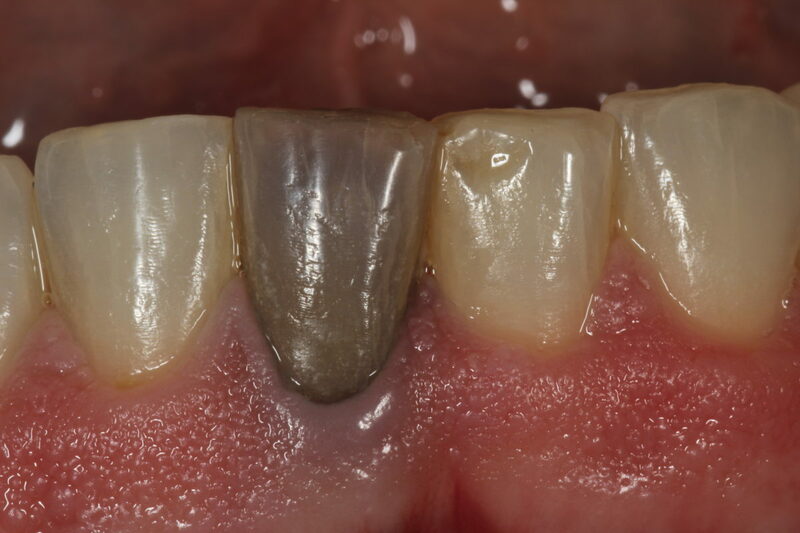 This over a number of years can cause a tooth to become yellow or grey in colour. There are several options for such teeth including crowns or veneers. Here is a case I improved by simply doing some single tooth whitening. Click the link below to see my article published in Dentistry Magazine for single tooth whitening.